Bristol Mountain introduced its new Aerial Adventures experience in spring of 2014. 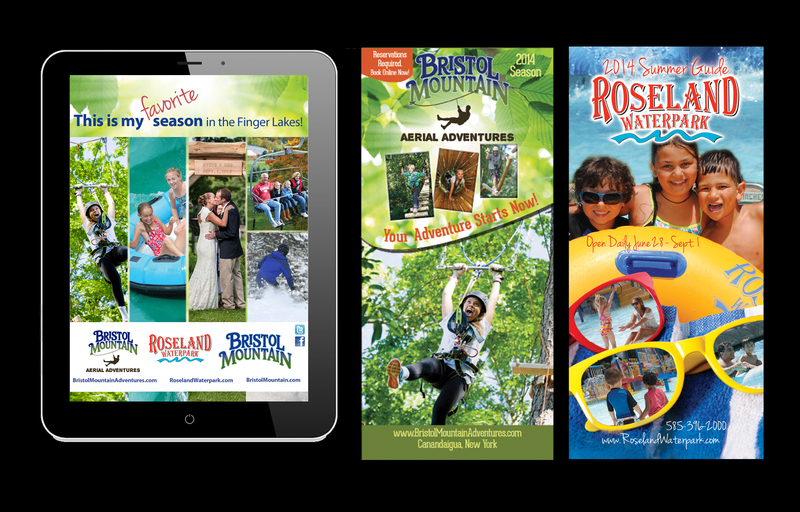 In prepping for launch, Bristol desired a new creative look for the overall brand, with distinct assets for each of its businesses - Bristol Mountain Winter Resort, Roseland Waterpark, and Bristol Mountain Aerial Adventures. The new business branding is currently in use on marketing collateral and advertising aimed at attracting customers from across the US and Canada to the Finger Lakes to enjoy a plethora of outdoor activities.